When Does Apple Use Promotional Pricing? The Apple retailing model is uniquely different from most of the largest retail chains in the world. Even though Apple products are sold by thousands of other retailers, Apple's own company-owned and operated retail stores have more sales per square foot than any other retail company in the world. When the entire global retail industry was in a massive recession, Apple was not just surviving; it was thriving. When Apple lost its main source of innovation with the death of its visionary founder, Steve Jobs, the company didn't die with him. Apple retail stores threw out the traditional retailing rulebook for merchandising, customer service, inventory, sales, store design, etc. In doing so, it not only achieved unprecedented retailing success for itself, but Apple also disrupted the entire U.S. retail industry and became the retailing model by which all other retailers judged themselves. Despite all those contrarian aspects about Apple retailing, the one thing that makes Apple completely different from every other retailer in the whole wide world is just one thing. Since Apple iPads, iPhones, iPods, and computers are some of the most sought-after products in the world; it's not surprising that one of the most frequently asked questions in the world is “When does Apple use discounts, deals, sales, or promotions to sell its products?" Similar to the (now abandoned) no-discount pricing strategy at Abercrombie & Fitch, Apple has used a no-discount pricing strategy both with the products it sells in its own Apple retail stores and with the Apple products sold in all other retail chains like Wal-Mart and Best Buy. What those Black Friday deals, discounts, and product bundles might be is unknown even to Apple employees until the morning of Black Friday before the Apple retail stores open. Apple is one of the few U.S. retail chains that still has any kind of mystery or secrecy associated with its Black Friday shopping event. Retailers circumvent the no-discount mandate from Apple during the Christmas holiday shopping season by offering "bundles." Instead of lowering the price of the Apple product itself, other products (printers, software, accessories, etc.) are discounted or free with the purchase of an Apple product. Free gift cards that can be used for future store purchases are often part of a promotional bundle connected to the purchase of an Apple device. There are a few other exceptions to the Apple no-discount pricing strategy. 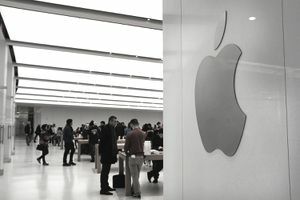 For example, when a new generation of iPad, iPhone, iPod or computers are about to be released, authorized Apple products dealers are given permission to discount their existing inventory to make room for the newest releases. Other than these few exceptions, you won't find certified Apple dealers discounting the prices of Apple iPhones, iPads, iPods, or computers just because they want to. Not only is the Apple No-Discount mandate contrary to the pricing strategies of every major and minor retailer in the U.S., but it's also an Apple policy that seems impossible to enforce. Worldwide there have been more than one billion iPhones sold, which means there have been over a billion transactions in which the no-discount-pricing rule could have been broken. And yet, certified resellers rarely break the rule. The term "certified reseller" is the key. Consumers are often unaware that when they see a "sale" on Apple iPhones, iPads, iPods, or computers that the seller is probably not certified and the products may be knockoffs. The way Apple seems to be able to control pricing on a global scale is with the severity of the consequences for breaking the no-discount-prices rule. To lose your official reseller certification is to lose a lot of potential future sales revenue. That's a lot of retailers completing a lot of full-price Apple sales transactions. And yet retailers rarely buck the Apple retail sales system. Or perhaps they rarely get caught! Why Are Retail Chain Stores Being Closed?